If things continue to go the way they are for a handful of Jets players, all of the heat that the organization has taken over the years from ornary fans for going heavy on defense in the draft may start to subside. 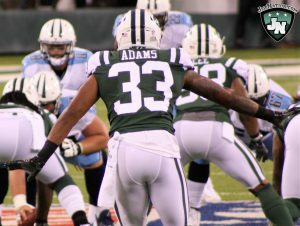 There was no better example of the impact some of the Jets defenders could have than yesterday when there were major contributions from safety Jamal Adams, linebacker Darron Lee and quietly, defensive lineman Leonard Williams. Adams gave up a couple of big completions to tight end Eric Ebron, one of which looked to be on a push off, but also had multiple impact plays that changed the game. First, it was a tipped pass from Andrew Luck that was intercepted and returned for a touchdown by Morris Claiborne. Later in the game, it was Adams delivering a bone-jarring hit on Colts running back Robert Turbin that forced a fumble that the Jets would recover, while also forcing Turbin back to the locker room for the day. Jets safety Jamal Adams is starting to live up to his pre-draft hype, making game-changing plays. 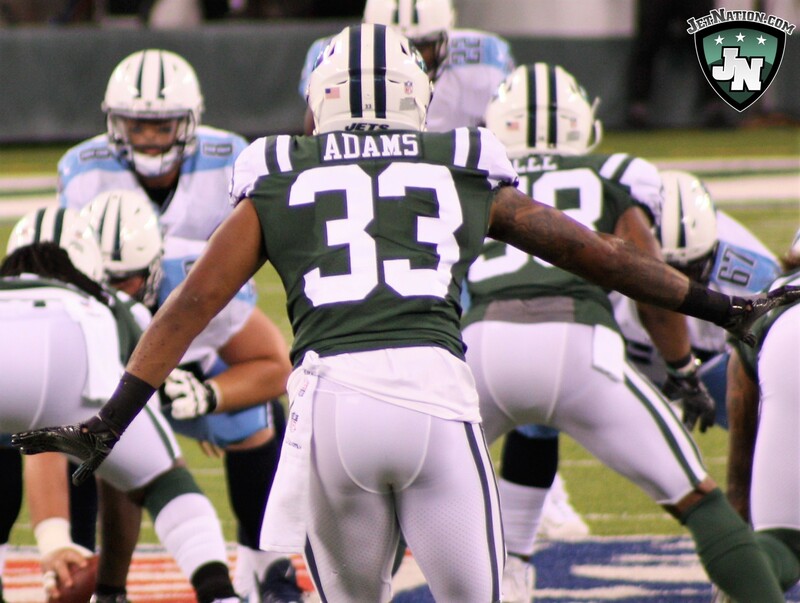 Through six games, Adams has probably been the Jets best defensive player as he continues to be a force around the line of scrimmage. Adams has also been vastly improved in pass coverage and gets pressure on the quarterback when asked to do so. Thus far, Adams has 37 tackles (9 for loss) a sack, an interception, two forced fumbles and five passes defended. Then of course there’s Darron Lee, who appeared to be entering the season with a chance to go down as a first-round bust if his game didn’t improve dramatically. Well, so far, it has. Lee had a huge interception and 25-yard return that essentially iced the win for the Jets against the Colts, giving him 3 picks on the year. The former Ohio State product also led the team with 8 tackles and continues to show improvement in working his way through traffic as well as shedding opposing blockers. Coming in to Sunday’s game, Lee was among the Jets top defensive players in stops. Then of course, there’s Leonard Williams. Mike Maccagnan’s first ever draft choice who was a pro bowl player early on, but flopped last season with just two sacks. Williams has already surpassed that total this season with three, and as you can see from the tweet above, has made his impact felt in the run game. In watching Darron Lee’s big interception yesterday, you’ll see Williams rag doll Colts offensive lineman Quentin Nelson before Andrew Luck uncorks the pick. Aside from Adams, Williams and Lee, the Jets have seen significant contributions from safety Marcus Maye and linebacker Jordan Jenkins (2.5 sacks). If these young defenders keep it up, Gang Green should keep winning. If they keep on winning, perhaps it brings an end to lots of whining.